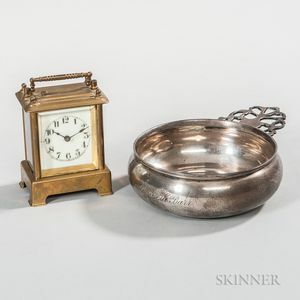 Silver-plated Porringer and a Small Waterbury Carriage Clock, late 19th/early 20th century, the porringer with engraved presentation inscription on the back "From/Grandmother E.M.B./Dec. 11, 1893," the clock with porcelain face, the movement marked "Waterbury Clock Co.," ht. 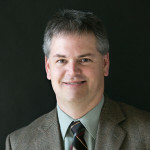 to 4 in.